Alaska Gov. 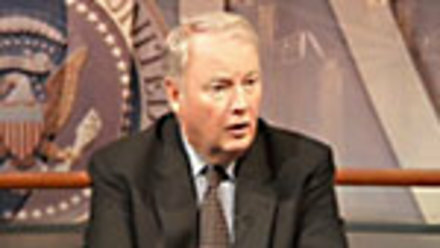 Frank Murkowski (R) has been the most visible proponent of opening ANWR to drilling for oil. In this edition of OnPoint, he answers a range of questions on this and other matters, including: Can the ANWR coastal plain be opened to exploration without significant environmental disruption? Are the major oil companies interested in exploration there? What's the status of the bids to build a trans-Alaska natural gas pipeline?